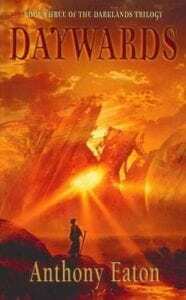 ‘Fireshadow’ (UQP) and ‘Into White Silence’ (Random House) are without a doubt two of my all-time favourite young adult novels. You can read my review of ‘Fireshadow’ here. Both novels kept me awake into the wee hours of the morning and both stories remained in my head long after they were read. 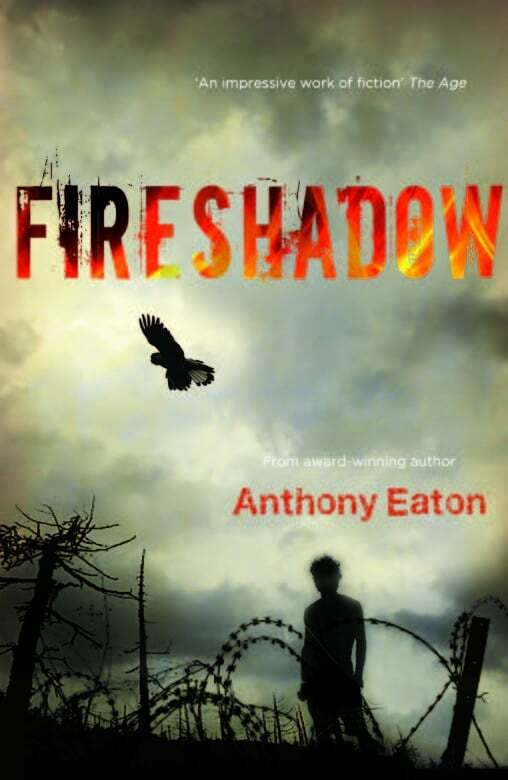 As a judge for the Queensland Literary Awards, teacher librarian and CBCA obsessive I read many, many YA novels each year but Anthony Eaton’s works always stand out for me, and obviously others considering how much critical acclaim his works have garnered. You can read more about Anthony Eaton on his website, and can purchase copies of his books by clicking on the titles or covers in this post. My most recent book isn’t out yet – I’ve been writing it for the last three years, and I’m still re-writing. I’m hoping to have a good draft finished by the end of this year, but I’ve been saying that since 2011! 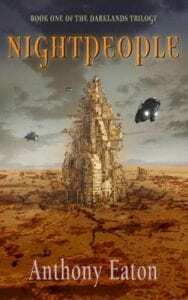 It’s a sci-fi kind of thing, set in Sydney in the future, with a lot of action in it. That’s really all I can say about it at the moment. The other thing of mine that’s come out recently is a fantastic new release of my book Fireshadow, which was first published back in 2005. It’s a kind of a war/love/growing up story set in a prisoner of war camp in WA during the second world war. While the story itself is made up, the setting and history behind it is all true, and it’s one of the books I’m most proud of having written. UQP (My lovely publishers) have made it look all shiny and new, and I’m thrilled to see it back out there for people to keep enjoying. I didn’t actually intend to be a writer. 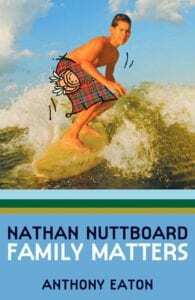 I wanted to be something else entirely (more on that soon), but back in 2006 I wrote a book during school holidays (I was a teacher back then) just for fun. 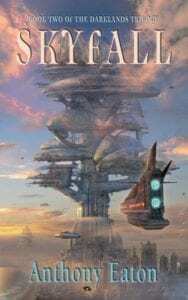 I then worked on that book with Gary Crew, who taught me basically everything I know about editing and storytelling on the page, and to my surprise, the book got published. Like a lot of writers, I have to have another job to pay the bills, so I’m an assistant professor of writing and literary studies at the University of Canberra. This means that there’s really no such thing as a ‘typical’ day for me. Sometimes I’m lecturing, sometimes teaching in tutorials, doing research, attending conferences, assisting students with problems they might be having, attending department meetings, and (occasionally) writing. In theory I try to write (or at least work on some writing) every morning before I turn on my phone and email for the day, but the reality is that this doesn’t happen very often at the moment. It’s one of the difficult things about being a writer – you have to manage your time very carefully, and work hard to keep your motivation up. My workspace is my office at the university. I’ve got my desk and pin board, on which I keep any visual stuff that I’m using for my current project (at the moment, it’s covered in maps and photos of New York, which is where the final chapter of my current project is set). I’ve also got a comfy chair for reading – which I do a lot of, both as a university teacher and as a writer – a coffee table and, of course, a wall of bookshelves. I generally keep my workspace as neat and tidy as possible, because I work better in an uncluttered space. Read. And Write. Sounds stupid, I know, but seriously those are the only two things that count. Stephen King (one of my favourite writers) says in his book ‘On Writing’ (which you should read, if you’re interested in this kind of thing…) “If you don’t have time to read, then you don’t have time to write. It’s as simple as that.” Reading widely (not just the stuff you like, but stuff you don’t like, stuff that’s difficult and challenging and too hard) is one of the most useful things you can do as a writer. It’s how you learn to use words, and to write powerful sentences, and to think about the world differently. Plus, of course, you need to write, constantly. Even if what you’re writing seems terrible while you’re doing it, the fact that you’re doing it at all is what’s important. 6. Do you have a favourite book or character? Either an actor or a pilot. I love performing on stage, and I did a lot of it when I was younger (and still do, though nowdays it tends to take the form of author talks…), and my dad was a pilot who worked for the Civil Aviation Department, so I grew up around planes and airports, and have always been fascinated with flying. When I’m writing, that’s all I’m doing. Other stuff – like eating and drinking – doesn’t happen. I might have the odd cup of coffee during a break, but when I’m actually putting words down, I get totally lost in my own head and often don’t notice if I’m getting hungry or thirsty. And a definitely don’t put on music – anything that would take me out of my own head is really unhelpful. When I’m writing I turn off my email, and my iPad, and my phone, and my office phone, and I put a ‘do not disturb’ sign on the door. I’ve even been known to wear noise-cancelling headphones when I’m writing, just to block out the noise of the air-conditioning in my office, and people walking in the halls outside. That’s kind of an impossible question. I don’t think you can write without putting something of yourself into every book and every character, but I don’t write about myself at all. And certainly not about other people that I know. I think it just happens rather organically – as a writer you have to draw on the things around you to weave your stories together, so it’s kind of inevitable that people who know you will recognise you in your works. I’d like politics in every country to be for the good of the world and its citizens, not for the good of a few very privileged and often very wealthy people. 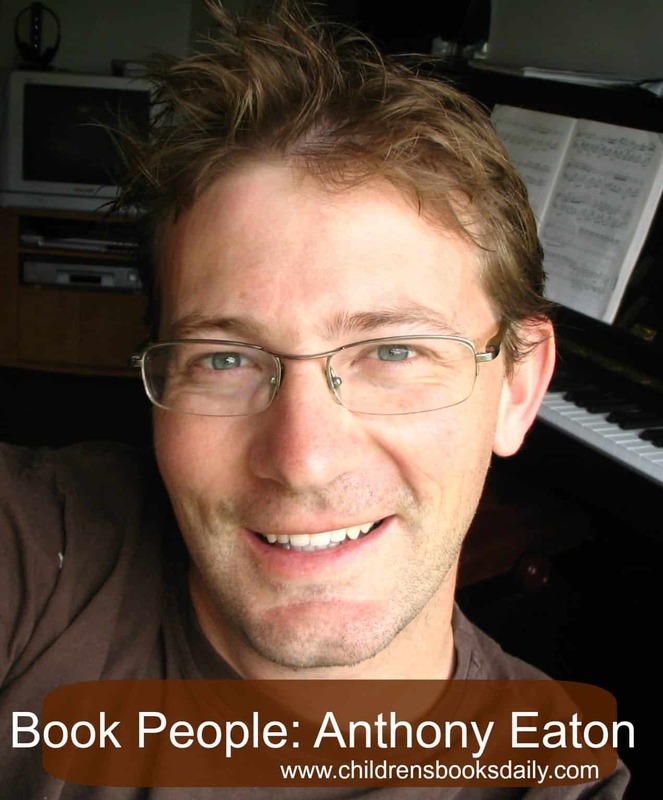 To purchase any titles by Anthony Eaton, you can click on the covers below. The title of each book takes you to the Australian based online bookstore Booktopia. If you live in the US or would prefer to use Amazon click here. If you live in the UK or would prefer to use Book Depository click here.